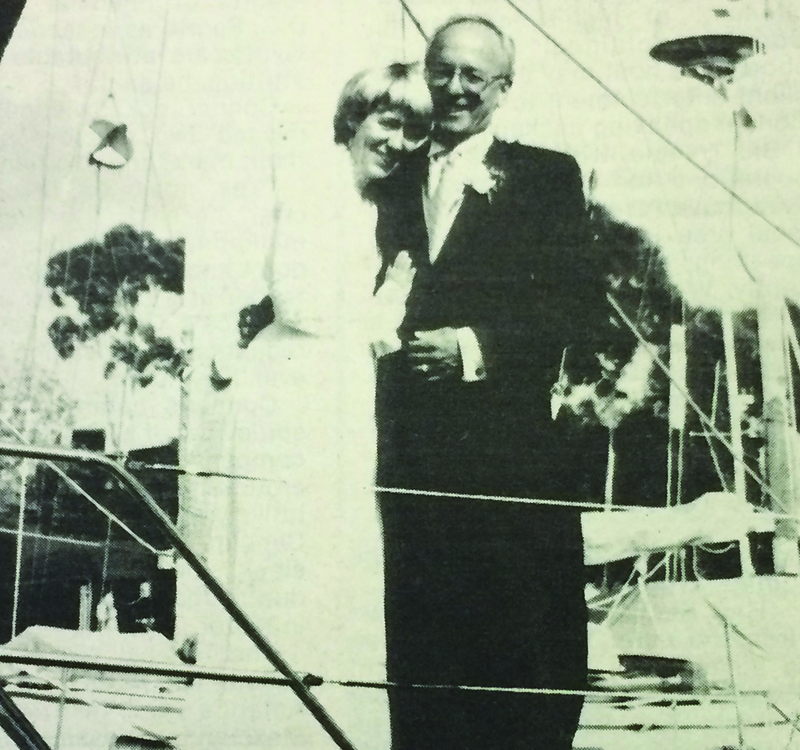 In the story published in the Feb. 19, 1990 issue of The Log, staff writer Justine Sahli wrote of husband-and-wife-to-be Richard Lewis and Carole Bender’s unique request to register for gifts at the West Marine in Marina del Rey. The couple hoped to receive display flags, flares, wind scoops and more in preparation for their extended cruise along the Mexican Coast and Europe aboard sailboat Trust after exchanging vows. Lewis and Bender were the third couple to request to register at the store.